The White Glove Maid Service is located in San Antonio, Texas. We provide quality maids at an affordable price. We have been providing maid service in San Antonio since 1982. The White Glove Maid Service has always been locally owned and operated. Our goal is to provide you with San Antonio's best maid service at a reasonable cost. 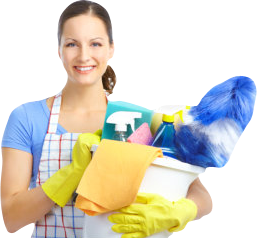 The White Glove Maid Service offers dependable maid service with guaranteed results. We offer one time as well as recurring maid service schedules. We provide move out and make ready cleaning as well. Gift certificates make a thoughtful and appreciated gift. Ask about our Host dry carpet cleaning program. Take the time to view the content on our website. We have provided everything you need to make a wise decision in which housecleaning company you choose. We have also included a maid service hiring guide so that you will know what to look for and what questions to ask as you make your maid service hiring decision (maid service checklist). If you have never used a maid service before you might be interested in our article entitled "Buying Free Time".